Starting on July 19, 2016, Scouts Canada adopted Respect in Sport for Activity Leaders training that was developed by Respect Group, a Canadian leader in youth safety and abuse prevention training. This training has replaced Scouts Canada’s Child and Safety (CYS) Training for Volunteers. 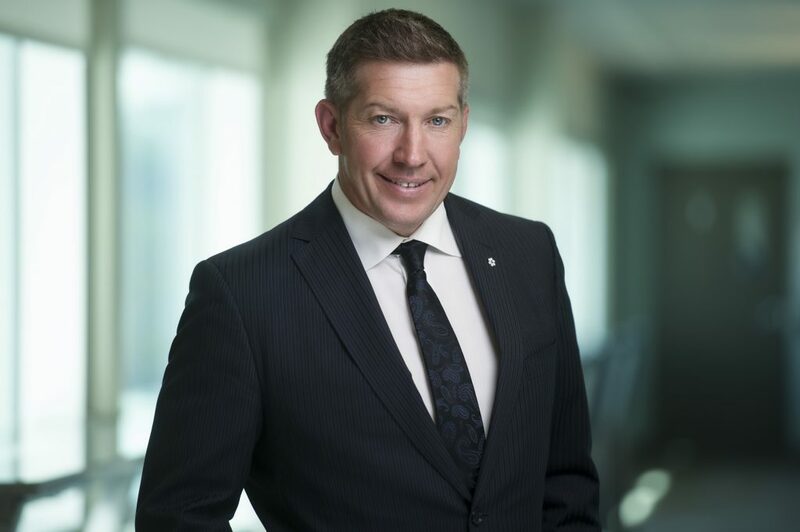 Sheldon Kennedy is a long time child-abuse activist and the Director of the Sheldon Kennedy Child Advocacy Centre, the first full service operation of victims of child abuse in Canada. He is also the Co-Founder of Respect Group, the very organization that developed the new training that Scouts Canada has adopted. Mr Kennedy was kind enough to sit down with Scouting Life to discuss Child and Youth Safety and Respect Group training. Scouting Life: Can you tell us how the Child and Youth Safety landscape is changing and why? Sheldon Kennedy: I think a big part of it is the fact that society is much more aware of the issues these days: Bullying, Abuse, Harassment and Discrimination (what we have come to call at Respect Group “BAHD Behaviours”). And it’s not just that these behaviours exist. We also know that all of these forms of maltreatment have common, serious and lasting impacts on the victim. Addiction, depression, self-harm, suicidal ideation, and other harmful activities all occur because of BAHD Behaviours. So, knowing what we know, this heightens the need to train all adults working with our youth to prevent BAHD Behaviours. SL: What are some of the specific emerging issues that have come up recently with respect to CYS? What are the implications for youth? What are the implications for youth-serving organizations like Scouts Canada? SK: Well, there are always changes in legislation that affect an organization’s policies and procedures. Things like a change to the age of consent or new laws that govern the sentencing of on-line predators. Then there are issues that seem to change daily relative to social shifts, such as LGBTQ awareness, or the ever-evolving use of technology that can provide opportunities for cyberbullying. Think about it: the term “sexting” wasn’t even in our vocabulary a couple of years ago! The implications for our youth, as I mentioned earlier, can be devastating to their mental health and can last a lifetime. For youth-serving organizations, it is important to remain current regarding these issues, both in terms of education and prevention. To ignore them can be devastating: legal liability, brand reputation, organizational credibility and loss in membership are all unwelcomed outcomes. SL: How has Respect in Sport for Activity Leaders been developed? How have you ensured that it is best in class? 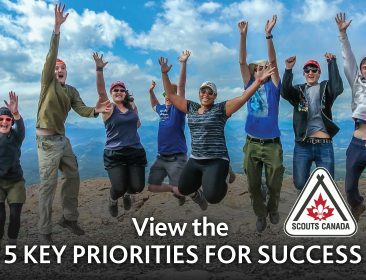 SL: Why is Respect Group training the best choice for Scouts Canada? SK: When we first launched the program in 2006, we focussed on sport leaders. I am pleased to say we have now certified over 350,000 Canadian coaches. As we grew, it became obvious that any adult working with youth has the same issues and duty of care. So we changed the program name and made the content suitable to what we have now come to call “Activity Leaders.” Whether you are a soccer coach, YMCA Camp Counsellor, A Scouter or volunteer at your local Boys and Girls Club, you are an Activity Leader and our program applies. This holistic approach to prevention education has allowed Respect Group to offer some unique tools and features that make it a great solution for Scouts Canada. The consistency of the message from coast to coast for all youth serving organizations as well as the ability to transfer your certification from one organization to another make this program highly versatile. If you are a Scouter and also a hockey coach, you take the program once. Scouts Canada has also been involved in the “Responsible Coaching” initiative, spearheaded by the Coaching Association of Canada and the Canadian Centre for Ethics in Sport. Through this collaboration, youth-serving organizations can work to deal with these issues together. We have finally realized that any maltreatment is exactly the same, regardless of the type of youth-serving organization. As such, the Activity Leader program has become the recommended standard for prevention education and allows organizations like Scouts Canada to outsource training to trusted experts in the field. SL: How does Respect Group ensure that your training program stays ahead of the curve? How do you get ahead of the emerging issues? SK: It is of the utmost importance for us to stay ahead of the curve in order to best serve our hundreds of clients. Fortunately, we have a formal relationship with the Canadian Red Cross (Respect Education) and the Sheldon Kennedy Child Advocacy Centre. These organizations keep us current on all things related to youth maltreatment. We have close affiliations with the Canadian Research community and organizations like PREVNet, who not only study our programs but also conduct grassroots research on the effects of bullying, prevention tactics and evolving trends in social media. We also have the benefit of our other programs like Respect in School and the Respect in Sport Parent program, both of which continue to provide us with insight. Since we are solely focussed on all things “respect” we are immersed in it every day. Respect Group’s other priority is our on-line training platform. It is a custom environment designed specifically for our diverse community. Since technology is changing at a pace never seen before, our professionally trained instructional designers, database specialists and hardware/software technologists collaborate constantly to keep us current. And our 24/7 bilingual technical support line and closed captioning are unique offerings that demonstrate our commitment to understanding our client’s needs and delivering on them, fast. SL: How will Scouts Canada specifically benefit from adopting the training? SK: The Activity Leader program ensures that Scouts Canada is doing its best to provide the safest environment possible for all participants. This is based on the fact that this training has become the Canadian standard for youth-serving organizations and Scouts will benefit from all the things that national outsourcing has to offer; constantly updated curriculum, cross-organization certification, dependable maintenance and support, evolving e-learning platform and the knowledge that Scouts is part of a larger youth serving network, all focussed on child protection. SL: How will individual Scouters benefit from Respect in Sport for Activity Leaders training? What are some of the unique skills and benefits that Scouters will gain? SK: First and foremost Scouters will benefit from the assurance that all volunteers are fully educated and equipped to deal with bullying, abuse, harassment and discrimination. In addition, their positive self-esteem will be a priority that will ensure that they want to keep coming back. Through positive role modelling, a key emphasis of the training, scouters will learn about leadership, team work and strategies for taking appropriate action when incidents occur.